Read your assignment book EVERY TIME you practice so that you know what you are supposed to do! Parents should read assignments out loud daily to children who can’t read. Guitar, string, woodwind & brass parents of students under 7 years old must practice with their kids. Practice at least 5 times a week. The most effective way to achieve this habit is to incorporate practice time into your daily routine. TIP: Stickers and charts are often helpful in motivating children. Parents can play an important role in a student’s progress. It is very helpful for parents to supervise practice, particularly in the early stages. Parents can help students to develop good practice habits, set and maintain practice schedules and ensure regular attendance at lessons. 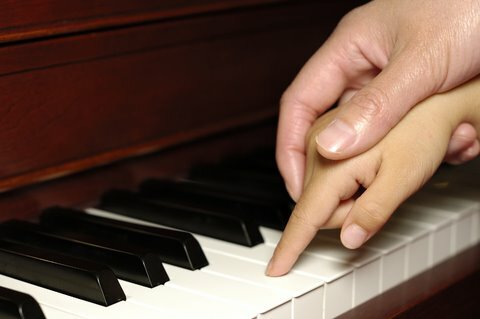 Learning to play a musical instrument is challenging and a parent’s encouragement, interest and involvement can help to keep a student’s eye on the long term goal.